When I was leaving the country, my colleagues knew that eating at Teriyaki Boy was one of the things in my to-do-list. They treated me out to lunch in my final week at work. *sniff* Teriyaki Boy is memorable to me that way. As I have said, it's the first restaurant I dined at the terraces of Ayala. 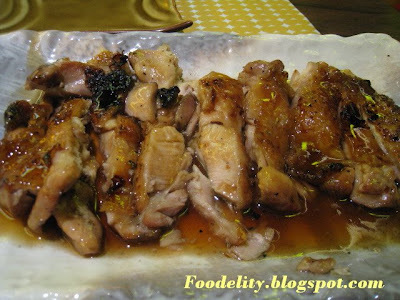 I really like their Teriyaki BBQ Chicken! To the highest level! omg. i want the chicken soooo baaaaaad!!! oi musta? thanks for visiting my site. sarap ng site mo puro foood! i love teriyaki boy. i've eaten there at least 4 times since it opened here in cebu and i've always had a good time. their teriyaki boy chicken is to-die-for. i love the food here, very lami...u must try..servers were all excellent..ang cute pa ng manager!